When creating bedroom schemes, I love to experiment with the colour blue. 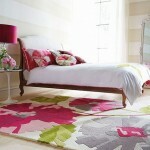 When used correctly it can create such a calm and relaxing bedroom…perfect to guarantee a good nights sleep. Here’s a glimpse at my Top 10 Favourite Blue Bedroom schemes. 3. 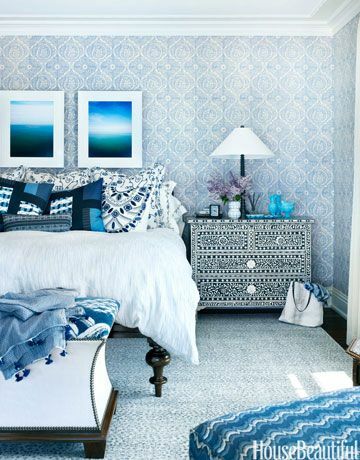 Loving this combination of mixing blue pattern with a plain fabric headboard. 4. 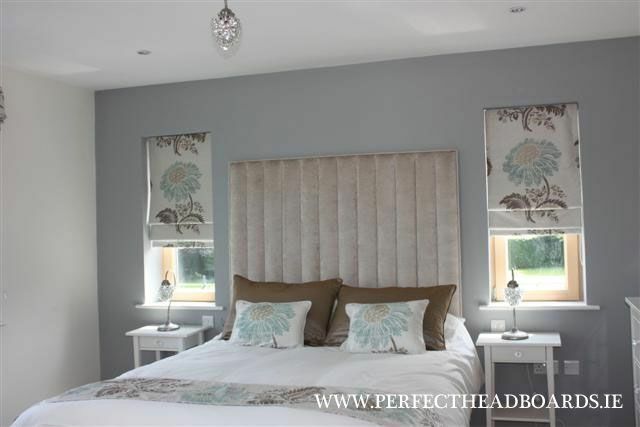 This Duck Egg Blue bedroom looks stunning…so relaxing. 6. 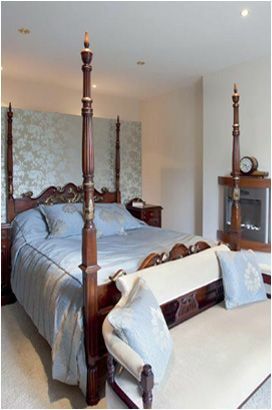 This traditional bedroom looks great pairing blue and cream for a luxurious but cosy bedroom design. 7. 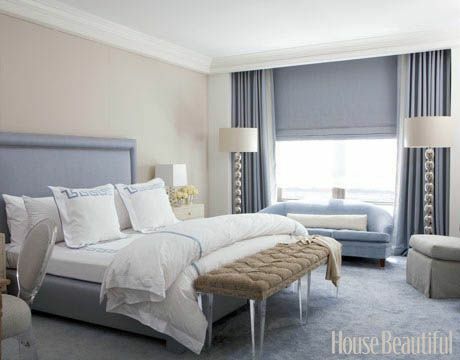 This bedroom is all about texture….loving all the various blue fabrics from silks, cottons to velvets…beautiful. 8. 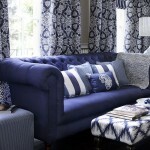 This room looks beautiful with its blue curtains, pelmets and upholstery. 9. A feature wall in this stunning wallpaper by Thibaut. 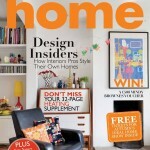 Available to order from Perfect Headboards. 10. 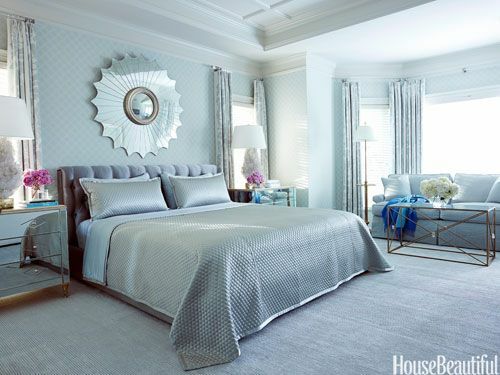 This crisp bedroom scheme looks fabulous in its mix of blue and white. The panelling looks super when themed with the damask wallpaper. I hope you enjoyed reading this blog and that you found it beneficial. Hopefully I’ve helped you banish those Monday Blues and replace them with visions of romantic getaways or thoughts of planning your next decorating projects.